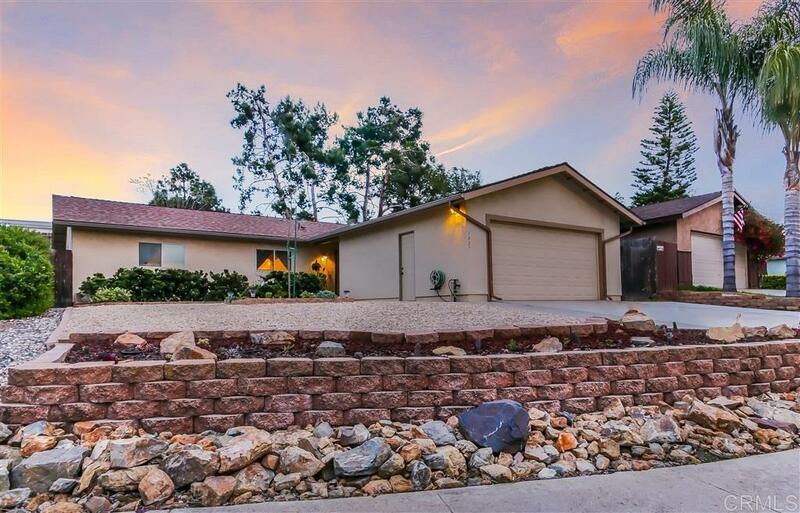 Lovingly updated single-story home in San Marcos! ***Solar Owned! ***Dual-pane windows. ***Newer roof. ***Porcelain tile flooring throughout. ***Open and bright living room with tiled fireplace. ***Dining area off the living room, a great space to gather the family for a meal. ***Large kitchen with stainless steel appliances, plenty of storage, and a second eat-in area. ***Huge permitted family room opens to the backyard. ***Spacious Master bedroom and ensuite bath with updated shower. (See Supplement), 4th bedroom was converted into the dining room and can easily be converted back into a bedroom. ***Private, low maintenance backyard with covered patio area including a jacuzzi. ***Highly desirable San Marcos neighborhood close to schools, shopping, and easy freeway access. ***Jacuzzi and patio set convey!